In space no one can hear you bundle. In Deep Space, on the other hand, you can definitely enjoy eight excellent indie games for a pay-what-you-want price as the second bundle by Kyttaro Games (http://www.kyttarogames.com) , Bundle In A Box: Deep Space (http://www.bundle-in-a-box.com/), gets released this Friday the 14th of September. It’s the only thematic bundle around, will last for 14 days and offer all games as DRM-free downloads (but not exclusively so; most games are also available on Desura and/or Steam ). … exclusive new games making their debut. Gamers will for the first time get to play Rob Fearon’s Death Ray Manta; a psychedelic and fully customizable arena shooter specifically created for Bundle In A Box. -the official remake of the Commodore 64 classic Armalyte (PC). … directly supporting upcoming game developers. $10 will be added to our Indie Dev Grant for every 100 sales and the whole sum will be awarded to a developer selected by vote; no strings will be attached as to how the grant will be used. 5% of all revenues will be shared with the Hellenic Centre for Mental Health and Treatment of Child and Family. What’s more, for each 1000 bundles sold new extras will be unlocked for everyone, including the premier issue of the PlaySF sci-fi gaming magazine, the brand new Dark Scavenger soundtrack, the soundtracks of Sol: Exodus and Miner Wars, and an eclectic selection of books, artbooks and storyboards. As an added bonus, all who purchase the bundle will get access to exclusive content for Droidcape: Basilica (http://www.kyttarogames.com/?page_id=384); KyttaroGames’ own upcoming game for iOS and Android. The top 10 contributors will also get a free copy of the game itself upon release, whereas the Droidscape: Into the Basilica book will be made available as an unlockable extra. AGOURA HILLS, Calif. September 13, 2012 – THQ Inc. (NASDAQ: THQI) today confirmed that its upcoming action adventure title Darksiders® II will be released for the Wii U™ system at launch and will include additional content. The Wii U edition of Darksiders II will feature additional bonus-content not included with other formats. Included on the disc will be the first DLC expansion, Argul’s Tomb, as well as all pre-order bonuses from other editions, adding around five hours of playable content and new legendary weapons and armor. Darksiders II on Wii U will take advantage of the unique Wii U™ GamePad, utilizing the touch screen to display map and objectives as well as giving quick access to abilities and Death’s inventory. The Wii U system’s gyro functionality will also be utilized to allow players to evade enemy attacks, manipulate objects in the world and steer their character during swimming and riding sequences. Darksiders II is scheduled to be available for Wii U at the console’s launch. For more information visit www.Darksiders.com. Awakened by the End of Days, Death, the most feared of the legendary Four Horsemen embarks on a quest to redeem his brother's name. Become the terrifying force which everything fears but nothing can escape. The original Darksiders®, released in January 2010, received critical acclaim including the Best Fantasy Game 2010 award from IGN. Darksiders followed the story of WAR, wrongly accused of starting the apocalypse, on a quest to reclaim lost honor and take revenge on those who wronged him. THQ Inc. (NASDAQ: THQI) is a leading worldwide developer and publisher of interactive entertainment software. The company develops its products for all popular game systems, personal computers and wireless devices. Headquartered in Los Angeles County, California, THQ sells product through its global network of offices located throughout North America, Europe and Asia Pacific. More information about THQ and its products may be found at www.thq.com. THQ, Darksiders and their respective logos are trademarks and/or registered trademarks of THQ Inc.
Our retro gaming video blow-out continues into it's second amazing week. 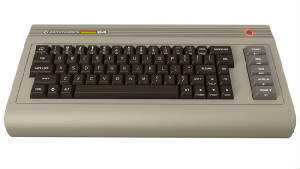 Today we have added over 300 Commodore 64 Longplay Videos to our extremely popular Retro Gaming YouTube Channel. This robust video collection covers almost every single game produced for the C64. These stunning high resolution videos capture every moment of your favorite C64 Video Games. These videos come directly from the highly acclaimed C64 Video Archive. This archive is a collection of C64 Longplay Videos. It was created through a collaborative effort by a group of highly dedicated Commodore 64 fans. Many long hours went into creating these outstanding videos. This collection was designed to preserve and protect the legacy and the history of the Commodore 64 computer. September 11 2012 – Nintendo today announced the next European edition of Nintendo Direct. The Nintendo Direct Wii U Preview will be streamed from the Nintendo Direct website on 13th September from 3pm (UK time) and sees Nintendo of Europe President Satoru Shibata take a closer look at the upcoming Wii U console. The Wii U console launches this holiday season and introduces the Wii U GamePad, a controller with a 6.2-inch touch screen that redefines how people interact with their games, their entertainment and one another. Our massive Retro Gaming Video Blow-Out has entered it's second week. All this week we are adding hundreds of new videos to our extremely popular Retro Gaming YouTube Channel. We had one simple goal when we created this channel. We wanted to help protect and preserve the history of classic video game advertising. Since that time our selection of video content has grown to include TV Shows, Movies, Documentaries, and even Longplay videos. Keep an eye on our Newswire all this week as we bring you new updates and new content to our massive retro gaming video library!